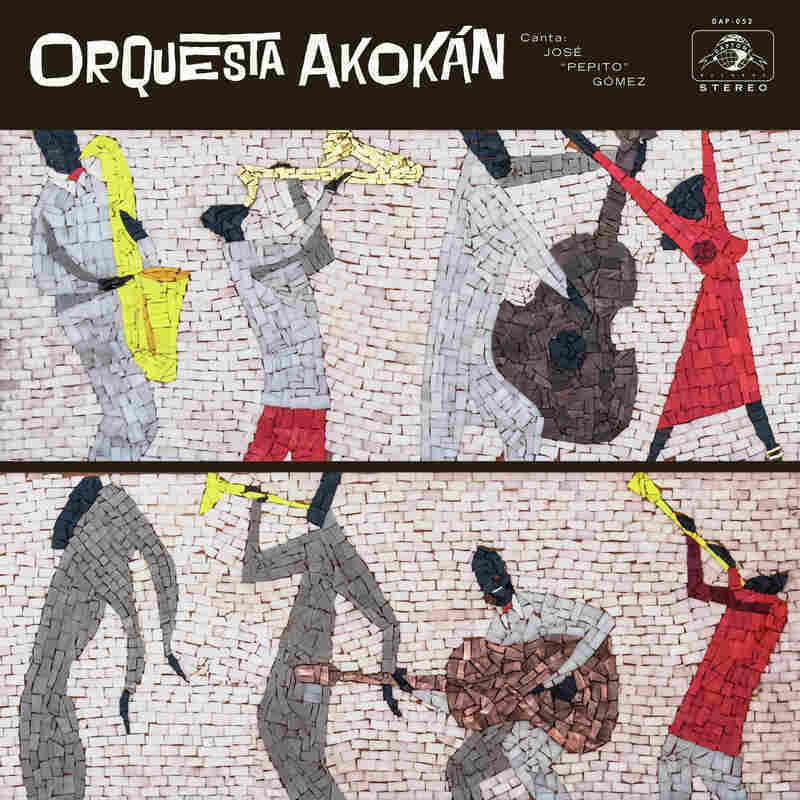 Orquesta Akokán's Joyous Debut Is From The Heart A new album, recorded in a legendary Cuban recording studio, pays meticulous homage to the country's musical history and identity. 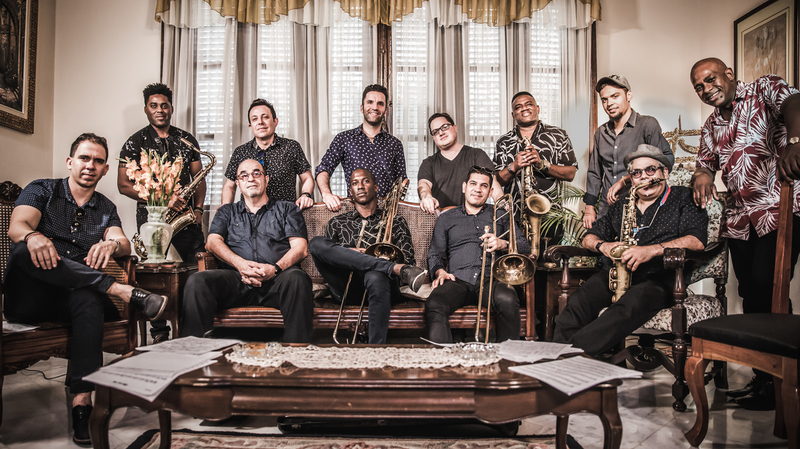 Orquesta Akokán's self-titled debut is a loving tribute to the sax and brass-driven orchestras of the past that operated like one giant rhythm machine. It is Ground Zero of Cuban music. Built in the early 1940s to exact audio specifications by a recording engineer, it has played host to virtually every single Cuban musician of note for almost 75 years. Nowhere else in the world is one studio responsible for a country's musical identity and if you're hip to all that, the spirits welcome you when you walk in. In 1996, the Buena Vista Social Club phenomenon put the studio on the map again and since then many Cubans, and non- Cubans, have recorded inside the legendary wood paneled room. The latest, and most intriguing, such project comes via Daptone Records. Orquesta Akokán is the name of the band and the album — Akokán is a Yoruba word meaning "from the heart" — and of course the Daptone masterminds would choose the iconic studio to record their first Spanish language album. Meticulous attention to analog sound is the foundation on which albums by Amy Winehouse, Sharon Jones and Charles Bradley have sprung forth to worldwide acclaim. The album is the brainchild of Cuban vocalist Jose "Pepito" Gomez, producer Jacob Plasse and arranger Mike Eckroth. It is a loving tribute to the sax and brass-driven orchestras of the past that operated like one giant rhythm machine. On "La Cosa," the saxophone section introduces a melodic theme while the trumpets offer counterpoint. But if you listen closely, you'll hear the trumpets are actually echoing the distinct drum part called cascara, which is played by drum sticks on the side of the timbales to keep time (think hi-hat cymbals from a drum set). When the trumpets take over the melody during the instrumental break toward the end of the tune, the saxes then play cat and mouse with the conga/timbal/bongo/cowbell rhythm section with a part that shadows the patterns of each drum. It's the kind of deceptively simple complexity that made listening to classic orchestras of Tito Puente, Machito and Perez Prado such a joy. These guys execute it perfectly. I've heard Cuban musicians and sound techs speak effusively about how the natural reverb in Areito Studio 101 is particularly nice to the combination of wood and animal skin that make up the components of conga and bongo drums. Every track on Orquesta Akokán benefits from that studio magic. "Cuidado Con El Tumbador" is a humorous dance floor warning to men to watch out for the tumbador, the conga player, because he will steal your girl. But the arrangement is a sparse piano/conga driven groove that in fact features the love the room has for tumbadores. Gomez shines on this project. The arrangements and production envelop him so distinctly that his voice sounds as if he could have been fronting a Cuban band at the fabulous Tropicana Nightclub on the outskirts of Havana in the 1950s. Orquesta Akokán is a joy. Listeners who are not ware of the history behind the album will enjoy it simply because it is a damn good record. Cuban music geeks will enjoy soaking up the same sonic space that brought us pre-revolution Celia Cruz and Benny Moré. This album is also another creative notch in the belt for Daptone Records, proving once again that paying homage to history is a specialty that they do with love and great skill.